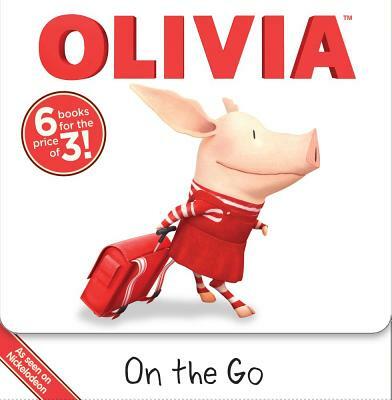 Now wherever Olivia fans go, they can take their favorite books with them This carry-along boxed set has a plastic handle and a Velcro closure, and provides endless entertainment with six of Olivia's best 8x8 storybook adventures: Dinner with OLIVIA, OLIVIA and the Babies, OLIVIA and the School Carnival, OLIVIA Opens a Lemonade Stand, OLIVIA Cooks Up a Surprise, and OLIVIA Leads a Parade. (c)2012 SLP. OLIVIA(TM) and (c) Ian Falconer.